Do you find that most of your socks just don’t stand up to the hard work you put them through? 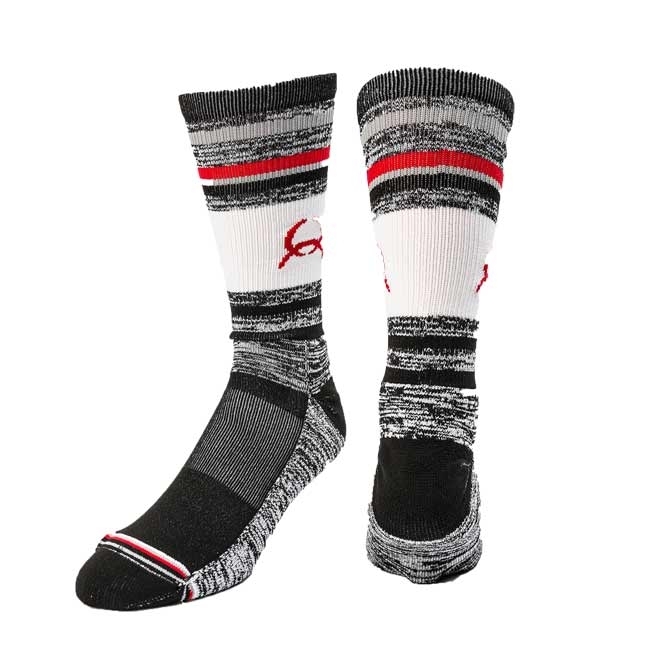 These Cinch Grey Multi Striped Crew Socks are the answer. They have been built for wearing in your cowboy boots and survive but they have also been designed with an attractive striped pattern that makes them a good choice when you’re wearing other shoes. You will fall head over heels in love with the comfort and durability that these socks will give your feet.